I love learning. Thanks to the Internet, learning has become a lot easier. The Internet gives anyone who’s an expert at something the ability to share their knowledge with anyone who finds them. But, a problem I often have is actually finding those great people to learn from. There are so many “experts” online, that it’s hard to find the needles in the haystack and honestly, it’s downright frustrating sometimes! Well lucky for you, I’ve been scouring the Internet and Twitter for some of the most interesting and knowledgeable people to learn from. These people focus primarily on various aspects of life and business. In past posts, I wrote about some of my favorite podcasts. But today, I want to focus on people who are producing really great email newsletters. Now, I know what some of you are thinking … email newsletters? Yes. Contrary to popular belief, email is not dead. And now that we’ve taken care of that, here are my picks for some of my favorite email newsletters that are keeping me smart in business and life. Every Sunday, Ben Evans publishes an email newsletter that’s focused exclusively on what’s new in mobile – including a ton of valuable research and stats that would take you hours to compile on your own. Ben works at the VC firm Andresseen Horowitz and is on Twitter as @benevans. At last check, Ben had 28,000 people on his email subscription list! Are you overwhelmed with the topic of personal finance? Then look no further, Mary Beth is the person you need to know. Mary Beth, who you can find on Twitter as @marybstorj, is a Certified Financial Planner who decided to change from working in corporate to being an entrepreneur and now she owns her own business, Workable Wealth, where she specializes in financial planning for Gen Y. Interested in the details of design? Then David’s your guy. David wrote the Amazon best selling book, Design For Hackers, and is a co-instructor of mine in the Lean Product Development course that I teach. David also writes about entrepreneurship, business, and habits to reduce stress in your life. He’s also a rockstar on Twitter @kadavy. There are over 25,000 people who are on David’s email list! Do you feel like you don’t have time or money to travel? Well, once you start reading the great advice from Nomadic Matt, you’ll realize that it’s easier than you think. Matt has one of the leading travel websites and blogs that show you how to travel without breaking the bank. Matt has been featured in the New York Times, National Geographic, Time, and many other news and media outlets. After reading Matt’s blog, and following him on Twitter @nomadicmatt, I decided to travel more, and I’m so glad I’ve made travel a priority. Matt has over 60,000 people who read his newsletter. This one’s for the curious minds. The Very Short List is a daily email that shares interesting cultural gems from a different curator each day. Focusing on topics of tech, literature, culture, design, and food, The Very Shot List is a great way to stay well rounded if you’re over-loaded on business and tech news. Here’s an example of the most recent VSL email incase you’re curious! And, you can always follow them on Twitter @VSL. There you have it!! My 5 favorite email newsletters that are keeping me informed and motivated in business and life. 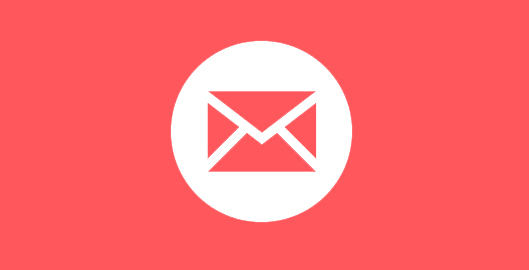 Do you have a favorite email newsletter that you subscribe to? Tell me about it the comments below!